Who doesn't love Elmo? The Sesame Street superstar has made into the hearts of young and old alike. The little red ball of fur loves to laugh and have fun and is full of imagination. It is no wonder the Elmo Birthday Party theme is so popular. 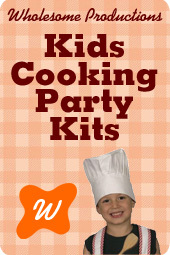 You will be tickled red at our great party ideas and monstrous party supply suggestions. Whether you are planning an Elmo First Birthday or a party for your toddler or even your pre-schooler, we've got everything you need to have a party as fun and creative as Elmo himself. If you have ever watched an “Elmo's World” show then you know the colors for the occasion are bright and bold primary colors. You can't go wrong with lots and lots of fun colors everywhere you can put them. Greet the guests at the door with an Elmo banner! It helps mark the location of the party and welcomes the little ones as well. Birthday in a Box and Birthday Express both carry them for around the same price and offer personalization as well. One of the funnest ways to decorate is with balloons. I prefer helium but blow up ones are great as well. Fill the room with loads of bright colored balloons. Let the hang or float from the ceiling and tie them to chairs. You can even secure them to an anchor and use them as table bouquets! Even if your party is in the back yard,at the park or an amusement facility, balloons add that extra flair and the children love to take them home when the party is over. I attach contrasting colors of curly ribbon onto each balloon. It looks good and makes it easy for the children to hold on when it's time to go. What I like to do is to mix solid latex balloons and mylars. Elmo mylars come in all sizes from airwalkers to jumbo and regular. Singing ones are even available. Tables, tables and more tables. Tables are so fun to decorate we have devoted a whole section to the subject. Click here to see our ideas. You can go all out and turn your house, or one main room, into Elmo's World. It's easy! Use Elmo wall decorations to help the transformation. You can also put up some butcher paper and color a scene yourself as seen on Elmo's World where there is a window and curtains drawn and colored. Set Elmo and Sesame Street toys around every place you can. They will help set the mood and the children will like playing with them. Don't forget Dorothy the goldfish. If you don't own one, you can purchase one for next to nothing but if you aren't into a live one, you can put a plastic bathtub gold fish toy in the bowl instead. Hang an Elmo pinata for decoration and for fun at game time. Other props can double for decorations too like the Elmo puppet and puppet theaater. There is one rule that must be followed when decorating for an Elmo party...keep it bright and cheery and you just can't go wrong! Hang an Elmo pinata for decoration and for fun at game time. Other props can double for decorations too like the Elmo puppet and puppet theater. “F” is for fun and that is what the youngsters will have with this game. Purchase an Elmo pinata like the one seen here. Hang it from the ceiling or wherever you can find a place, inside or outside. Before the festivities begin, pass out Elmo sacks to the children so they can easily store the goodies they will gather. Let the little guests take turns getting blind folded and taking a swipe at the pinata with a stick. For the very young, a blindfold is not necessary as just hitting the target may be enough of a challenge but so cute to watch. When the pinata is busted, the children will scramble to the gather goodies . When it is time for the party to end, send the guests home with a smile with fun party favors. We have some great ideas for Elmotreats for tots. First off, you will need to decide what container you are going to put the favors in. This will help you to know how many items you will need to fill them up. You can use a box, bag or even sand pails to put the treats in. Or, if you are feeling creative, decorate bright colored sacks with Elmo stickers and paint each child's name on his or her sack. Elmo carrierscan also be purchased online. Now for what to fill the containers with? That is the fun part!There are lots of Elmo themed toys and activities we found such as the ones below. Stickers, bouncing balls, tatoos, and coloring books are just a few of our findings. Bubbles, small packs of crayons, mini cans of play dough and novelty candies make good additions as well. Elmo snack packs and little bags of Dorothy gold fish crackers are fun too. Personalized items are available to be ordered online and are a very special take home token for the youngsters. Buttons, stickers and bag tags are among the many items you can have personalized. Check out these personalized candy wrappers. Sweet! If you are low on time, you may want to consider a favor package that comes complete with container and gifts. ELMO FIRST BIRTHDAY Hooray for Elmo! There's something about the red furball that babies love so why not celebrate the big "one" with an Elmo First Birthday party? From the invitations, to the food and cake, and the thank-you cards when the party is over, we'll guide you step by step through all the fun and festivities. So let the party begin and get ready for some monstrous fun to mark the "one"-derful milestone with our Elmo First Birthday theme. And remember to seize the day, for baby will never turn one again! If you want to add your own creativity to baby's first birthday invitation, here one of Elmo's finest, sure to sparkle and shine just like your little "one". And by the way, don't forget to save one for baby's scrapbook. First, fill in your party information on the back then simply cut out slightly oblong circle from card stock or card board paper. Cover the paper with glue and sprinkle on red glitter. Glue on an orange pom-pom for the nose, two large googly eyes and a black felt mouth. You can substitute red feathers for the glitter if you prefer or even use red fur paper from a craft store for a really fun effect. ELMO FIRST BIRTHDAY DECORATIONS Colors for Elmo First Birthday are bold and bright primary colors. Luckily, these are usually babies' favorite colors as well so the brighter the better! Announce your big event and welcome the guests with an Elmo Birthday Party banner. You can even have them personalized. Shindigz has some great Elmo First Birthday crape paper to deck the walls, halls and ceilings with. Stream them everywhere, the children will love the bright colors. Speaking of bright colors, fun is in the air when you add balloons to your Elmo décor. Bright colored latex helium balloons can be mixed with Elmo Mylars for a really great effect. Little ones ador balloons so don't be shy to put them everywhere. Hang them from the ceiling, tie them to chairs, stagger them behind serving tables and arrange them in bunches to place on the table as bouquets. Another great way to bring in color and theme is to place Elmo and friends everywhere. Stuffed toys can be laid on tables and strewn about the room, cut out pictures can be posted on the walls, you can even get Elmo and friends figurines and toys to sit around for decorations and to entertain the youngsters like these available through Amazon. Tables are fun to decorate and serviceable as well. Drape tables for the snacks, beverages and cake with Elmo themed or solid table covers. Place the food, drinks and cake on the tables then scatter small Elmo and friends toys about the table. Invite Elmo and friends to stay for snacks and cake. There are several Elmo First Birthday themed plates, cups and napkins to choose from. Check out this adorable centerpiece! For more Elmo First Birthday decorating ideas, check out our Elmo Birthday Party pages. Here are some of our favorite Elmo cookie ideas and recipes. Use our cookies on a stick basic instructions to make these Elmo cookies. Frost each cookie with frosting tinted with Wilton cake coloring or dip each one into a bowl of melted red Wilton candy melts. Use a white icing pen to make Elmo's eyes and dot them with black. Use the black to make his mouth as well. Elmo's nose is made with orange icing or even an orange M&M. Make up a batch of our sugar cookies and use Elmo or Sesame Street cookie cutters to shape them in fun characters. Frost or ice as desired. I prefer to use our icing glaze for non-stick cookies. These are one of my favorite cookies as they are not overly sugary and they are so easy to make and decorate. Use our recipe to make the cookies and tint them with red cake coloring then shape into circles using a round cookie cutter or the top of a drinking glass. Make Elmo's eyes using two mini-marshmallows and a nose from a tiny orange M&M. Elmo's mouth can be made with a black icing pen or small black licorice strips. Melt butter over low heat and add marshmallows. Stir until melted. Add Rice Krispies and stir until well coated. Pour onto a greased surface or waxed paper and shape into desired shape or pat into 13x9x2 inch pan. Cool. Decorate as desired. cup confectioners' sugar 1 tablespoon light corn syrup 2 tablespoons water food coloring , if desiredStir sugar, corn syrup and water together and food coloring if desired. Stir before each application. The Elmo Games will be the hit of the party. Our favorite little red furry friend brings out the best in young and old alike with his infectious giggle and upbeat personality. He is sure to bring the party to life when it is game time. Download or purchase the tune “Elmo's Song”. Play the music while the little ones sit in a circle and substitute “Elmo's song” for the name of a guest such as, “Sarah's song”. You can replay the song until you have included all the children. optional: Have the children dance or hop while the music is playing. Have the children sit in a circle and go around the room, introducing each one by the first letter of his or her name. For instance, “E” is for “Elijah”. Have the all the children clap after each name. You can take around a stuffed Elmo doll to help break the ice. Sit the children in a circle. Give a stuffed Elmo doll to the first child and have he or she say his or her name and something they like. Add a twist for older children by having what they like start with the first letter of their first name. Another fun twist is to use a “Tickle Me Elmo” and let each child start the tickler after he or she shares his or her information. “Elmo Live” works great as well. This is a classic Elmo game. Place enough chairs out for every child to have one. If you are low on chairs, use throw pillows and folded blankets. Put on some Elmo music like the CD shown here and play it for a while. Turn off the music and have each child immediately sit down in the closest spot. Then take away one seat and continue the music. This time when it stops one child will be without a chair. That child gets to stand in the middle of the circle. Keep with the game until only one child is left. That child is the “winner” though as always, each child is a winner. As your little one surely knows, Elmo has a fish named Dorothy. For this fun game, you will need to make a fishing pond out of a large cardboard box. Cut off one end so that you can sit or squat down behind it. Decorate the box by painting waves and fish on the sides then add the words “Dorothy's Pond”. Since the idea is for you not to be seen behind the box so you can hang a sheet to hide behind if you want to. Make a fishing pole from a small stick or dowl rod. Tie or glue some yarn or sting on the end and attach a clothespin the the free end of the string or yarn. Purchase inexpensive toys that you can pin on when each child fishes. Purchase an inexpensive wading pool and fill it with colorful plastic balls. Let the children jump in and play! Mr. Noodle is Elmo's friend. Mr. Noodle must make his way around the circle to get back home. Have the children form a circle and give one child a swim noodle to pass to the next child and so on until it gets back to the first child. Playing Elmo music makes this game even better. Purchase a pair of Elmo Tickle Gloves like the ones seen here from Amazon. Let the children take turns being Elmo. While wearing the gloves, Elmo beings by chasing someone to tag and tickle. The children being chased can say, “Tickle me, Elmo!” Make sure each child gets a turn to tickle. This game is played just like the original one except the children take turns pinning the nose on Elmo. It is available through Shindigz. ELMO FIRST BIRTHDAY ACTIVITIES So baby's first birthday was a great turnout and you now have busy "ones" in need of entertainment. Never fear, Elmo will save the day! ELMO MOVIES One great idea is to pop an Elmo DVD in and place a mound of toys in the middle of the floor. Watch the babies migrate to the toys. The little ones will entertain themselves and the adults will have a blast watching! PUPPET SHOW The little ones will love an Elmo puppet show! This hand puppet is available through Amazon and is the perfect prop to bring lots of laughter when you bring him to life with a little imagination. If you are at a loss for content, just watch an Elmo DVD! BOOK READING How about an Elmo book reading? There are loads of great Elmo books such as the one seen here. This one even has pop out pages to really capture the little one's interest. You might even want to go all out and dress the part with this furry red Elmo head. ELMO FIRST BIRTHDAY PARTY FAVORS When the party is over, be sure to send them home with some "one"derful Elmo treats. You can put together your own party favor sets. It's easy! Just pick a container such as a sack, bag, basket, box or even a sand pail. Decorate the container with fun Elmo stickers and personalize each child's name on with paint or glitter pens. Fill the containers with fun Elmo treats, appropriate for little ones of course. Stickers, stuffed Elmo toys, finger puppets, and small books are perfect for the occasion. Elmo drink sippy cups, rubber duckies and Elmo bath toys are great too! Check out this fun hat for toddlers! Or, an Elmo headband if you prefer. You can even order personalized buttons, zipper pulls, place mats and stickers to commemorate the big event. Don't forget to add some munchkin munchies to the mix. There are lots of Elmo snacks sure to delight the little ones. And these are healthy so their parents will be pleased too. If you are wanting to save time, these pre-assembled treat boxes are awesome and affordable as well. My favorite idea for an Elmo first birthday is the simple route. Give each child an Elmo plush toy and watch the smiles and hugs begin. You can find them on Amazon and choose a variety of sizes and price ranges. ELMO COSTUMES ELMO FIRST BIRTHDAY COSTUMES Make your baby's first birthday party one to remember when you add some costume fun to the mix. Elmo costumes are available in infant and toddler sizes like the ones seen below. They are adorable for the party and for pictures too. My niece gave her daughter an Elmo Birthday Party recently and dressed her in an Elmo outfit for a photo and then used that photo in the invitations. Join in the fun! Imagine the faces on the little ones when you are dressed up too. Or, have a guest appearance from Elmo by a friend or family member wearing the disguise. You might consider a puppet show, skit or book reading from the special guest too. The possibilities are endless when your party is dressed for success! What foods you serve at your party will more than likely depend on what time of day it is held. If it is near mealtime, like lunch or dinner, you will probably want to include more filling foods as well as snacks and desserts. We have put together some of Elmo's favorite foods sure to tickle the tummy of your young guests. Sandwiches are a great idea, especially if your party falls around mealtime. Fill sandwiches with our Elmo fillers like Elmo Egg-mo and Tickle My Tummy Yummy and cut into Elmo shapes using a cookie cutter. You can use other Sesame Street characters too! Hooray for pizza! Pizza is one of Elmo's favorite dishes. Since little ones can be finicky, I like to make little pizza shells and let the children fill their own according to what they like. Help the youngsters make an Elmo face with circles of cheese and olive slices for eyes, a pepperoni nose and bell pepper smile. For instructions, click here. Mr. Noodle noodles are kid friendly and filling as well. You can even print out a picture of Elmo's friend and place it on the bowl so the children “get” the connection. Dorothy boats are Elmo's version of our tuna boats and are especially fun when served on a bright blue platter next to a fish bowl of goldfish crackers. Fish shaped crackers are available in bright colors as well as traditional gold. You can even set one goldfish cracker in each boat. “A” is for apple, “b” is for banana...don't forget the fruit tray. Fruit trays are always a hit with young and old alike and parents will appreciate the nutritional option. Apples, bananas, cantaloupe, berries, grapes, cherries, oranges, honeydew and watermelon are all fantastic choices for the tray. Veggie trays are great as well. Celery sticks, baby carrots, olives, cucumber slices and broccoli tops are among the many vegetables that make a great tray. Little ones love to dip so set a small bowl of ranch dip in the center if you want. Elmo fruit snack packs can be scattered around the snack table or placed in a decorative Elmo bowl. Dorothy gummy fish make nice packaged snacks too. Since Elmo is really into learning his alphabets and numbers, jello jigglers cut into “1 2 3” and “a b c” shapes is a fantastic addition to the snack table. Cookie Monster just stopped by with some of his favorite snacks. You guessed it, cookies! See our Elmo Cookie Section for recipes and instructions. Our Table Decoration section will help you with ideas on how to make a fun and festive Elmo table for these wonderful snacks. Chop eggs and mix with remaining ingredients. Use for sandwich fillers. Makes 4-6 sandwiches. Combine ingredients until well blended and use to fill sandwiches. Thaw the dough if frozen. Roll dough into 5” circles then place shells on baking sheet and bake for 2-3 minutes in 400 degree oven. Remove from oven and spoon on pizza sauce then bake for 10-12 more minutes. You can let the children create their own, helping them to make an Elmo face using cheese circles for eyes, a pepperoni for a nose and bell peppers for a smile. Children love Mr. Noodle and will love this dish made with Mr. Noodle bow tie macaroni. Preheat oven to 375 degrees. Cook noodles in boiling water 8-10 minutes until done. Drain. We all know kids will eat just about anything if they can dip it. Serve this dip with a fresh veggie tray and watch it magically disappear! Mix ingredients, stirring until smooth and the color is blended. Chill until time to serve. Dissolve gelatin in one cup of cold water and set aside. Boil one cup of water and add Jello. Boil again and remove from heat. Add gelatin to hot Jello and add ½ cup cold water. Pour into a greased sheet cake pan and cover with plastic wrap and refrigerate until set. Use cookie cutters to cut into fun shapes. * Use a color of Jello that coordinates with the theme you are making such as blue for Elmo, pink for Princess and so on. Stir juice and carbonated drink together and just before serving, dobble on the ice cream and gently stir til frothy. Just before serving, combine the two and stir gently. Add ice or fish shaped ice cubes or even fish tub toys that have been chilled. Serve in fish bowl. Puree berries in a blender then add milk, strawberries and yogurt or ice cream and blend. Keep chilled until ready to serve. Place all ingredients in a blender on low until smooth. Serve immediately or chill until time. Place first three ingredients in blender and mix on low until smooth. Serve immediately and pour into glasses then top with crumbled cookies. Join the wonderful world of Elmo by making Elmo activities part of your party. We have consulted many a toddler and compiled this list, approved of course by the loveable red furball himself. Sit the children in a circle with you or another adult in the middle. Pull various small toys from a basket and count as you do so. Encourage the youngsters to count along with you. Elmo has a drawer full of surprises. Have the children sit in a circle. Sit in the middle of the circle with a drawer full of objects such as a bright colored bowl, a ball, an Elmo plush doll or other stuffed toy, an apple, etc. Have the children name the objects as you pull them out. Elmo loves to help children learn so join in the fun by teaching them about shapes. Prior to the party, cut shapes out of brightly colored poster board like a triangle, square, rectangle, and so on. Show the children each shape and have them repeat the name of each after you. Repeat and see if the children remember any. Odds are that some will. Purchase an Elmo puppet like the one seen here from Amazon or you can even make your own from a red sock or even a red sack. Adlib your own Elmo's World showing or watch an Elmo DVD before the party to copy ideas. Remember, Elmo always talks in the third person and is always upbeat and fun. Have the children sit quietly to watch a mime show by “Mr. Noodle” (you or another volunteer). You can do an activity such as writing and mailing a letter or something more simple like making and eating a bowl of cereal. For older or more advanced children, you can have them guess what Mr. Noodle is doing. Mr. Noodle wears a big bow tie and a vest so if you can find those props, you are in business. Kids love crafts so set aside a little time at your party to let them create a fun Elmo project. It is best to keep it simple I have learned so here are our picks of fun and easy Elmo kid craft ideas. This kit makes craft time a a breeze and since it is water based, there is no mess. Simply tack the paper to the wall and let the children paint. (You may want to protect the non-papered part of the wall with a plastic table cover). The kit come with one water pen but extras can be purchased separately. My Grandson and I tried this one out the other day and he loved it. Make red “Elmo faces” with red clay by rolling clay into a circle then squashing it down to look like Elmo's face. Make balls of white, yellow, green and blue and let the children put on Elmo's eyes and nose. Make smiles out of the clay too and let the children add a smile to Elmo's face. Older children can make eyes, nose and mouths by themselves. Download one or all of our Elmo coloring pages. Pass out containers of crayons and let the children color. You can also let them use watercolors if you are brave. Make sure to cover the table underneath with a plastic table cloth or sheet. Before the party, cut “eyes” out of red or white paper plates. Make enough so each child has one. Have the children sit at the table and give them each a plate. Pass out containers of red feathers (found at most craft stores) or red pom-poms and glue. Pass out black yarn to glue on for a mouth and orange pom-poms for Elmo's nose. Let the children create their own furry Elmo then help them glue a Popsicle stick on the plate so they can hold it up like a mask.